Superdry women's Emma lace loungewear set. Perfect for lounging around or snuggling up in bed, this super soft loungewear set features a crew neck short sleeved t-shirt and a pair of lace detailed shorts with an elasticated drawstring waistband. 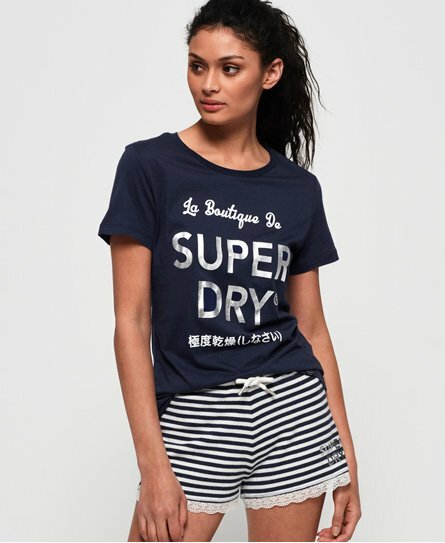 Both finished with a textured Superdry logo across the front and a Superdry logo tab on the hem of the t-shirt and the waistband of the shorts.